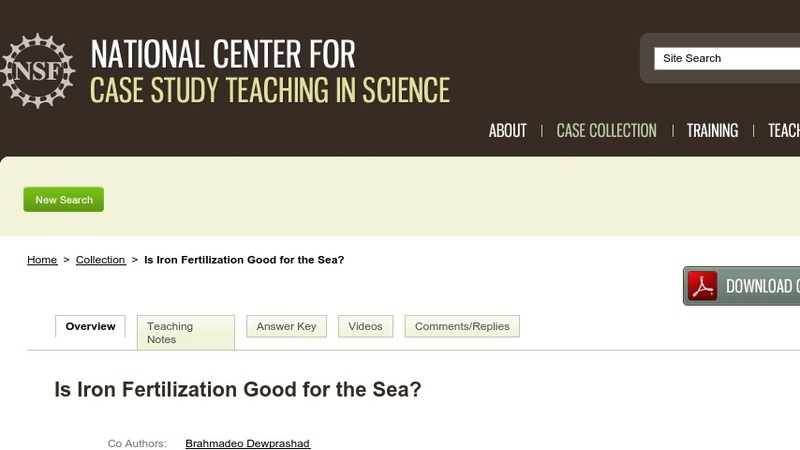 This case study describes experiments to seed the ocean with iron to encourage algae growth. It explores how human activities contribute to greenhouse effects and global warming, proposals to potentially counteract these effects and make the ocean more productive for commercial fishing, and the issues and possible unintended consequences of such activities. The case is appropriate for introductory biology, ecology, environmental biology, microbiology, and environmental microbiology classes as well as courses dealing with environmental policy.